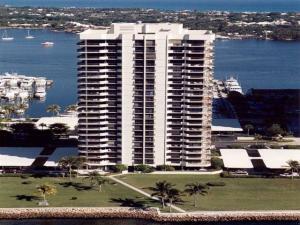 115 Lakeshore Drive #ph-46 North Palm Beach, Fl 33408 has been sold. CORNER PENTHOUSE WITH MAGNIFICENT VIEWSOF OCEAN, MARINA, LAKE AND INTRACOSTAL.9 1/2 FOOT CEILINGS.FLOOR TO CELING IMPACT SLIDING GLASS DOORS INSTALLED AUG.2018. 115 Lakeshore Drive #ph-46 located in North Palm Beach, FL is a condo with 2 bedrooms, 2 full baths and 0 half baths.The Condo at 115 Lakeshore Drive #ph-46 was built in 1979 in Cove Tower and offers a 0 car garage. This Cove Tower Condo offers pool, boating, lobby, community room, trash chute, manager on site. 115 Lakeshore Drive #ph-46 North Palm Beach, Fl is currently listed for $619,000 under the MLS# RX-10456235. This Condo has been put on the North Palm Beach MLS system and currently has a status of SLD.